This incredible tour is a must-do. 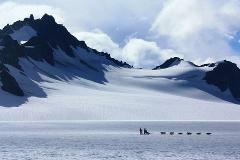 Fly up to beautiful Godwin Glacier where a team of barking huskies wait to take you on a stunning 2 mile dog sled ride. 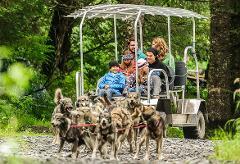 Back at dog camp, meet puppies, learn about mushing, or simply enjoy the scenery. Go behind the scenes of a Top Twenty Iditarod Kennel and learn about dog sledding from mushers Travis Beals and Sarah Stokey. 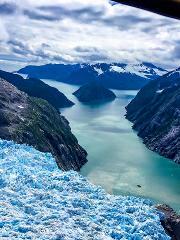 This hands-on tour is a must do for Alaskan visitors. 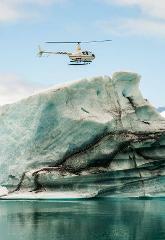 Enjoy an amazing 30 minute flight to Bear Glacier. 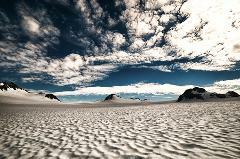 We will explore the Harding Icefield, fly close to icebergs the size of houses, and look for wildlife. Optional add-ons include landing at the nearby lagoon and having a picnic lunch. 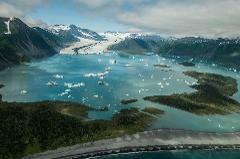 A beautiful 45 minute flight over Bear Glacier and Aialik Glacier in beautiful Kenai Fjords National Park! Go on an incredible 60 minute helicopter flight around breathtaking Kenai Fjords National Park and beautiful Chugach National Forest. Once in our office, we will discuss with you various flight paths available. Get into the wild with our Glacier Landing! This amazing 30 minute tour will leave you absolutely captivated and is a photography favorite. Fly by 3 glaciers before landing and the toe of one of the glaciers! Schedule a custom charter to Anchorage from Seward. Trips are $1800 per helicopter. Each helicopter can accommodate up to 3 persons and a small amount of gear. This is an unbelievable flight and an incredible way to travel to Anchorage!